This versatile makeup palette features 4 shimmer highlight & 2 matte blush powders that can be used on face & eyes to create a fresh, California glow. 4 shimmer highlighters & 2 matte blushes; shimmer can be used to transform matte shades to shimmer. Customize your own California glow or create a look that's entirely you. 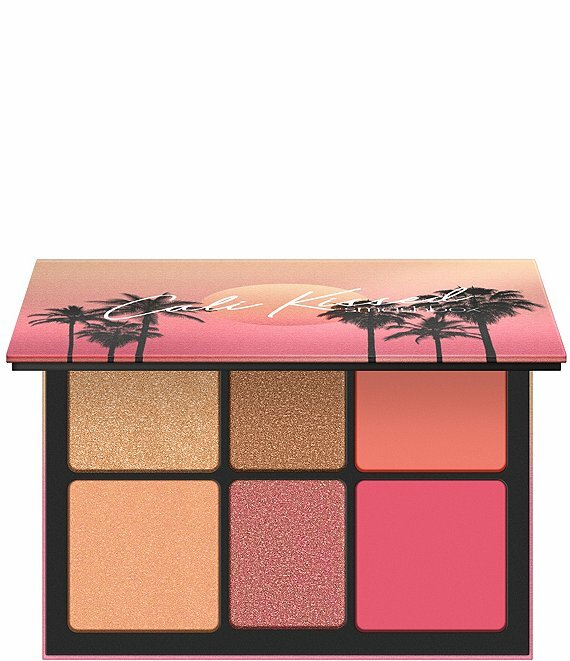 This highlight & blush palette can be used to enhance your features with a soft wash of color or build layers for full-on radiance. Use the shimmer shades to instantly transform any matte to shimmer. Like all Smashbox makeup, this is cruelty free. "Please be aware that ingredient lists may change or vary from time to time. Please refer to the ingredient list on the product package you receive for the most up to date list of ingredients."